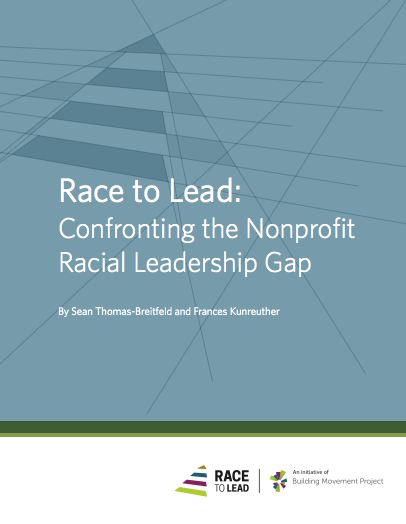 The nonprofit sector is experiencing a racial leadership gap. Studies show the percentage of people of color in the executive director/CEO role has remained under 20% for the last 15 years even as the country becomes more diverse. To find out more, the Building Movement Project conducted the Nonprofits, Leadership, and Race survey. Over 4,000 respondents answered questions about their current nonprofit job, interest in leading a nonprofit, training/supports, views of leadership, and personal background. They were also asked about their views on race and the nonprofit sector. This report, the first in a series to be released over the next two years, will compare people of color and white respondents’ background, aspirations to be leaders, training, and attitudes towards leadership. Social Network Analyses are often used to measure the progress of networks. Through the maps, you’re able to track how relationships propel the work and which relationships can be fostered further to catalyze energy and create the foundation for more experiments and harvest learning. Networked inherently means that not all individuals or organization know each other, but maps clarify where the gaps are and how to achieve deeper connectivity. However, this tool can feel allusive and expensive. Join this webinar to learn more about how you can implement this tool in your work and begin to create your own maps. Christine and Tracy will introduce a new approach to network mapping, which builds on the benefits of classic SNA and has recently become available through the new mapping tools Kumu and sumApp. They will discuss how these new tools enable an approach wasn’t really possible using the old tools - which is more collaborative, engaging, emergent, more designed to follow the energy, enable greater transparency, and able to track network development over time. They will talk about the process of developing these new kinds of network maps, how the tools make the difference and how they fit together, and share some benefits of this new approach. Earlier this month, I was honored to join the Management Assistance Group’s Confluence: A Sharing Of Learning, Questions, & Dreams in Chicago, in Illinois. The Confluence centered around creating and exploring deep equity. We explored how to create Leaderful Ecosystems with the premise that this cannot happen without: 1. Engaging/Cultivating the the Broader Spectrum of Leadership; 2. Advancing and Intentionally Embodying Equity; 3. Flexing Across The Leadership Spectrum by Influencing Complex Systems Change; 4. Valuing Multiple Ways of Knowing; and 5. 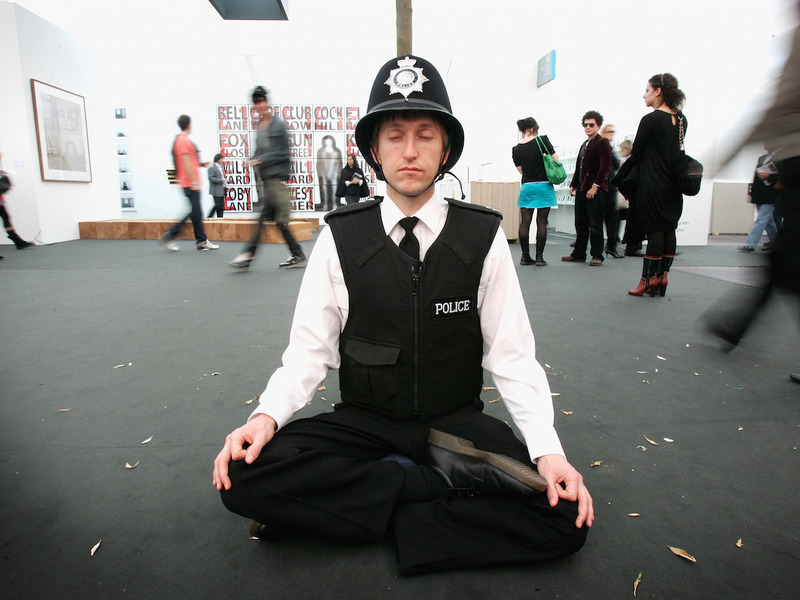 Creating the Space for Inner Work. 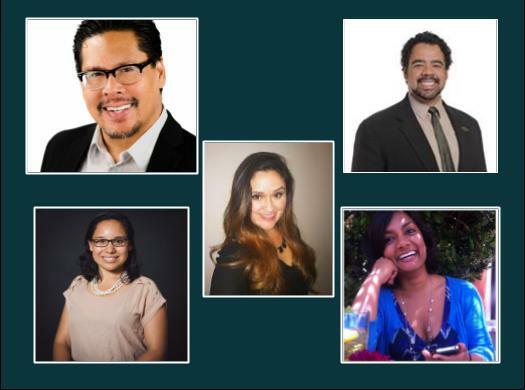 I had the good fortune to hear two people, who I greatly admire, speak last month: first Mimi Ho from the Movement Strategy Center at the Bay Area Justice Funders Group, and then john powell from the Haas Center for Fairness and Inclusion at the Othering and Belonging Conference. What a treat. Their words converged to remind me of why mindfulness practices are so important as they both spoke about the tough leadership work we are being called to do. The anger and outrage over the attack on civil rights and the planet fuels my spirit of fight, but will only take me so far in understanding the deeper work that john calls us to recognize in extending the circle of belonging to include everyone. This is the work that calls for what Mimi described as fierce love, grounded in the love of humanity that is a powerful source of love and action. This month's Leadership Development Equity Tip comes from a recent conversation with Anita Patel, Leadership Programs Director at the Bush Foundation. She explained that every Bush Fellow takes the Intercultural Development Inventory, an assessment tool that helps individuals and teams assess and reflect on stages of cultural sensitivity. It can be used to increase self-awareness, encourage development and to provide a conceptual framework for discussing intercultural interactions. Bush fellows use the assessment to create goals. The fellowship is about how you strengthen yourself as a leader and how participants are naming that intercultural competence has to be part of it. The conversation reminded me that some programs use the Harvard implicit bias test and others introduce racial impact analysis tools developed by Race Forward. Assessment is an important starting point for improvement. 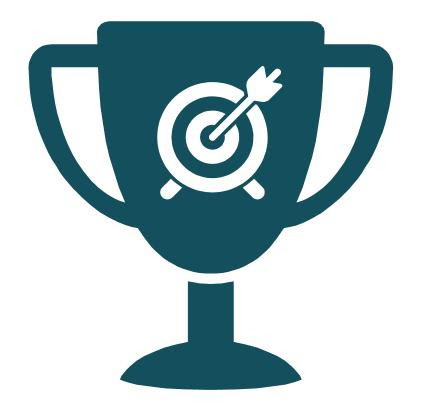 Please share tools you are using to increase the equity competence of your participants and we can create a resource directory. Thanks Anita for the example and inspiration. When we think of productivity in business, we often think of people pushing themselves past their limits — pulling all-nighters at work, eating lunch while responding to emails, zooming from one project or appointment to the next. But in my experience, this definition of productivity is mostly a myth that serves neither the employee nor the organization. 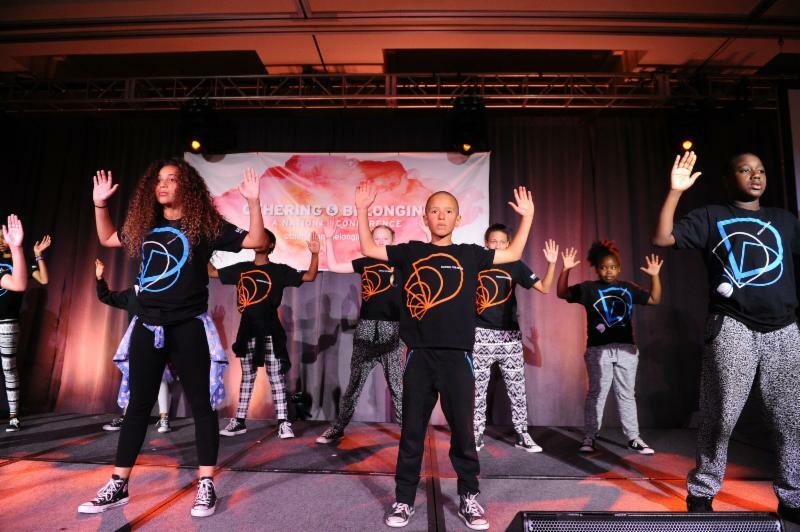 Earlier this month, we attended the Othering and Belonging Conference in Oakland, California. It was a healing experience to be able to be grounded in art, music, and dance to find answers to what belonging and othering truly mean. We were tasked with analyzing the systems that create belonging and othering. 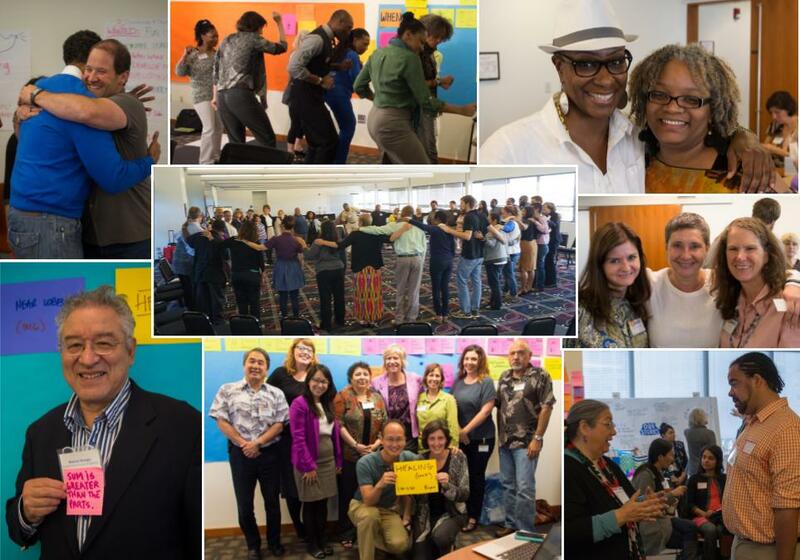 One of the most inspiring themes from the convening was the need to listen deeply to each other’s stories. This is the role of social justice movements and of leadership development. Listening, deeply, is a leadership competency that creates change. As each presenter acknowledged, this country is highly divided and by not listening deeply to one another we create othering, we can leave many outside of the work. I am excited to introduce the Creating Space design team assembled by Patrick Brown our design team lead and facilitator. He has assembled a powerful team with depth in racial justice work, a passion for leadership development, a commitment to generative learning and spirit. 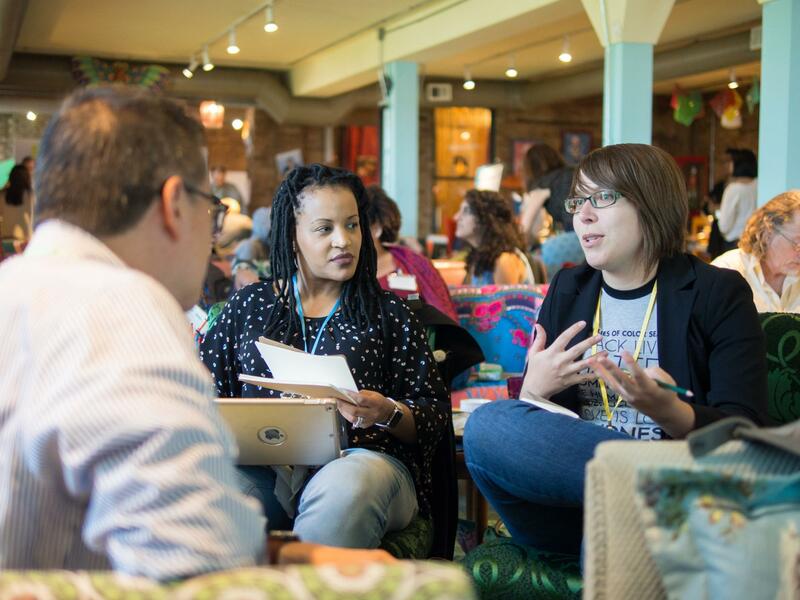 I have an important job this year, to stay out of the way and make room for new approaches, ideas, and talent to craft an event that can shape and support leadership development practices that will unleash the potential of leadership development to contribute to greater racial equity.